Is there a better alternative to Pro Player? Is Pro Player really the best app in Video category? Will Pro Player work good on macOS 10.13.4? Pro Player is a professional QuickTime player for video content creators and motion graphics designers. With its beautifully designed monochromatic interface, Pro Player provides a fast, elegant, streamlined way to review or present your content. Clean and simple single-window interface. Large time display (timecode, absolute time or frames). Time Selection - Set in and out times for a custom playback range. Alpha Controls - View alpha channel as white on black, change viewer background to checkerboard pattern and interpret file as premultiplied or straight. Critical fix for app hanging at launch if there are more than 10 recent files. Track Listing - View a list of video, audio and timecode tracks in the current file with the ability to mute and solo individual audio tracks. Favourite Folders - Add frequently used folders for direct access to media files within Pro Player. 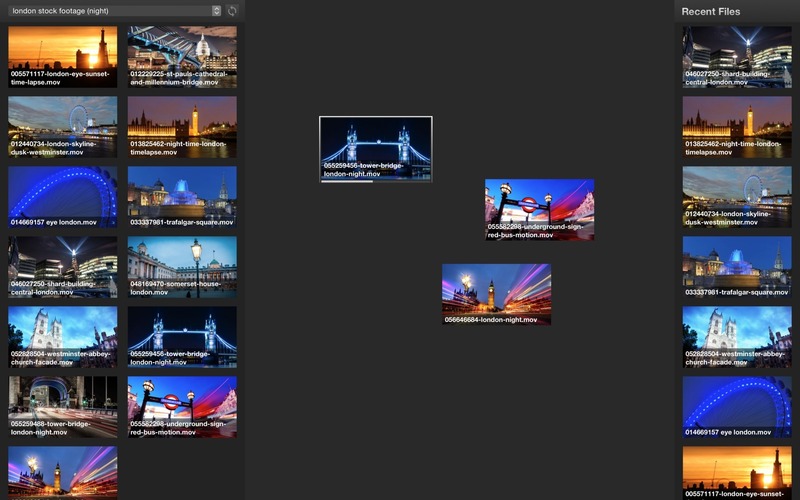 Desktop - Allows freeform organization of files with interactive thumbnails. No playback control overlays - see an unobstructed view of your video at all times. Shuttle and jog by dragging on viewer. Visual display of current shuttle speed. Jump back/forward command with selectable times in preferences. Reveal current movie in Finder. Pro Player is designed for playback of .mov, .mp4 and audio files. It does not support playback of MPEG-1 or MPEG-2 files. 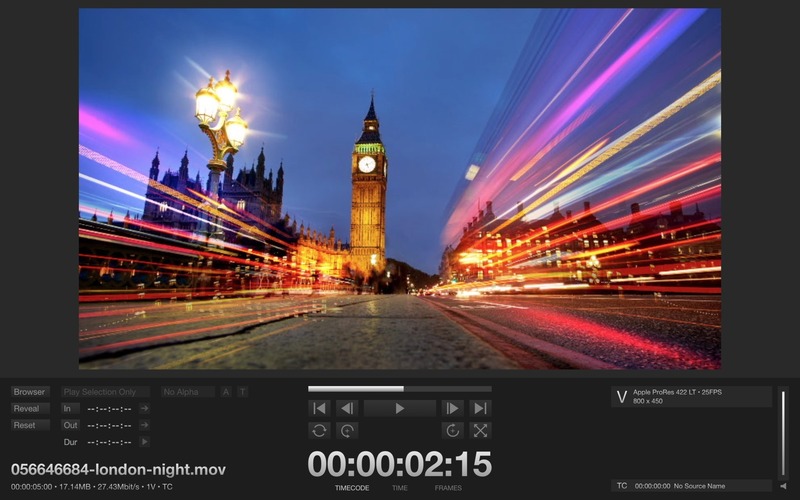 Pro Player will open MXF files (including XAVC) if the Pro Video Formats update is installed (requires purchase of Final Cut Pro, Motion or Compressor). Avid DNxHR codec does not decode alpha channels correctly. Avid are aware of the bug.